If there is one thing that we love here at RP almost as much as a new smartphone release, it’s the release of a smartphone concept video. 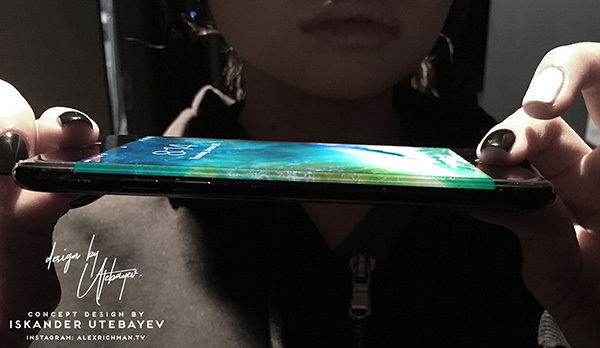 There are some truly creative people out there and the phones that they can create in concept videos are often streets ahead of the real thing. 2017 is said to be the year of the iPhone 8, and with the iPhone’s tenth anniversary upon us, Apple is expected to bring the thunder with its new release. 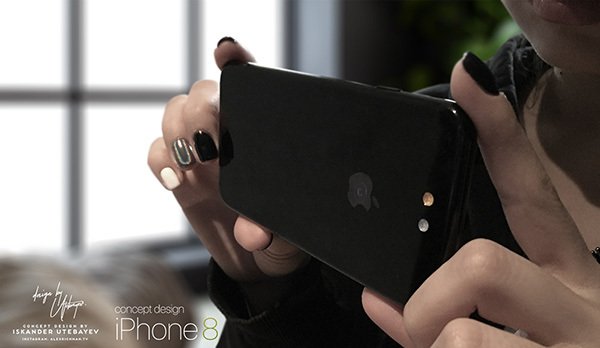 That’s what designers Iskander Utebayev and Ran Avni have done with their new iPhone render, too. Right out of the gate, we have to say we are more than a little dubious about the majority of this concept iPhone 8 being anything like the real iPhone 8 that will ship later this year. There is one aspect that we think is spot on though, and that’s the use of a screen that is curved at the edges just like Samsung’s Edge design. Rumors of a Samsung OLED display with the edges being used in an iPhone have been around for a while, so that may be a good bet. Less likely is the super-awesome camera that is shown in this video. Built right into the Apple logo on the back of the iPhone in the render, the camera almost disappears, and if we are honest, we have to admit to not realizing it was there in the first run through of the video. We’d love for Apple to follow suit, but alas, we doubt it will happen. Also, we’re not sure how Apple would manage to fit its new dual camera system into the logo for the “Plus” variant of the phone. Whatever the iPhone 8 ends up being, if it can come even close to the Jet Black render in this video, then it is going to be one hell of a smartphone. Check the video out below and judge for yourselves. F the curved screen that’s most useless feature of the phone … let’s hope apple does not implement this most useless thing..